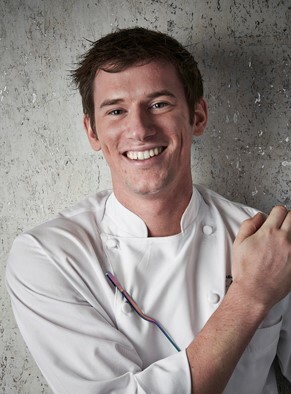 Collaborating with some of Europe’s leading independent breweries, Adam Handling’s zero waste café Bean & Wheat on London’s Old Street is offering a series of beer pairing evenings throughout the year. Paired with bespoke tasting menus from chef Handling’s award-winning restaurant, The Frog Hoxton, participating breweries will include The Five Points Brewing Company, Copenhagen’s Mikkeller and vegan brewery Verdant Brewing Company. Chefs from The Frog Hoxton will guide guests through each course, explaining how the chosen ingredients complement the characteristics of the beer with which the dish has been paired. The dinner will be followed by a Q&A session, where guests will have the opportunity to quiz the brewery owners themselves. Offering modern British cuisine, Handling’s menus are centred around top quality, seasonal ingredients and the chef currently operates two restaurants as well as a bar and a café. Handling’s first restaurant The Frog E1 won ‘Best Restaurant of the Year’ in the 2017 Food & Travel Reader Awards and has been awarded 3 AA rosettes and a Michelin Bib Gourmand. The first event in the series took place on 5 April, with South East London brewery, Brew by Numbers, showcasing their latest portfolio. Guests were presented with seven speciality craft beers including Sour Berry Sour Red Ale, Hobsons Pale collaboration and Stout Chocolate & Orange followed by a Q&A session with the brewery owners. Created by Handling, the matching tasting menu included trout with buckwheat and passion fruit; cod with corn, girolle and ponzu; and Sutton Hoo chicken with spring vegetables and wild garlic dumplings. Bean & Wheat’s exclusive craft beer pairing evenings are suggested as ideal team building exercise, unique birthday parties or simply as an opportunity for beer devotees to enjoy a memorable evening. The series of micro-beer collaborations will continue throughout the year, with the next event taking place on Friday 3 May at Bean & Wheat in collaboration with the award-winning Five Points Brewing Company. Further information can be found by contacting bookings@thefroghoxton.com and priced at £40 per person, tickets can be purchased here.